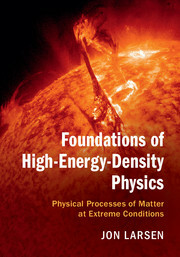 Most matter in the Universe, from the deep interior of planets to the core of stars, is at high temperature or high pressure compared to the matter of our ordinary experience. 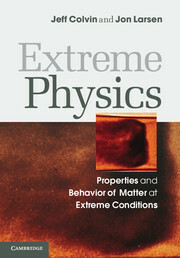 This book offers a comprehensive introduction to the basic physical theory on matter at such extreme conditions and the mathematical modeling techniques involved in numerical simulations of its properties and behavior. 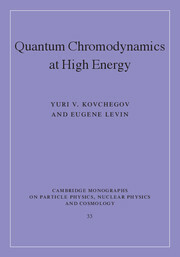 Focusing on computational modeling, the book discusses topics such as the basic properties of dense plasmas; ionization physics; the physical mechanisms by which laser light is absorbed in matter; radiation transport in matter; the basics of hydrodynamics and shock-wave formation and propagation; and numerical simulation of radiation-hydrodynamics phenomenology. 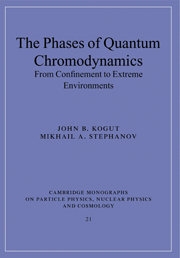 End-of-chapter exercises allow the reader to test their understanding of the material and introduce additional physics, making this an invaluable resource for researchers and graduate students in this broad and interdisciplinary area of physics. 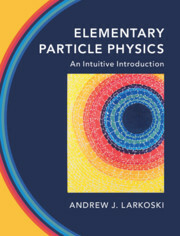 "The text is well-written and … convey[s] the content clearly, as does the mathematically rigorous treatment of physical phenomena. 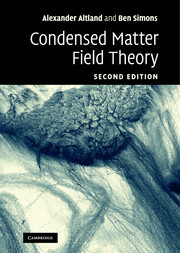 This book hence offers a comprehensive (and modern) introduction into the basic physics of matter at extreme conditions and into the mathematical techniques involved in numerical simulations of its properties and behaviour with a clear focus on computational modeling of the relevant phenomena." 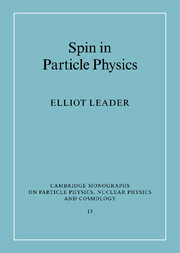 Jeff Colvin is a physicist at the Lawrence Livermore National Laboratory. 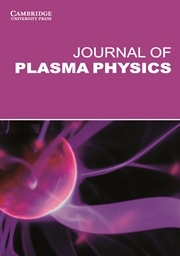 His expertise ranges from hydrodynamics and turbulence; laser-matter interaction physics; to computational design of materials science experiments on lasers. 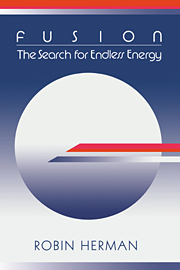 Jon Larsen is President and Chief Technical Officer at Cascade Applied Sciences, Inc., which develops and markets radiation hydrodynamics codes to the high energy density physics community. Prior to this he worked for more than a decade at the Lawrence Livermore National Laboratory.